So you have hundreds of VHS cassette tapes waiting to be digitised but somehow you just haven’t got around to doing it. The thought of getting all the right cables, hardware and software to work together just to get it on to your computer is not very appealing and to be quite frank, is a laborious and time consuming process, and that’s before we count the time that your computer will be rendered useless whilst it churns away at the bits and bytes. Say hello to the Neuros OSD. A small device that will solve the problem of getting your VHS tapes digitised as well as a whole plethora of other functionality. The Neuros OSD allows you to feed an analogue video and audio source in to it and output it digitally either on to a flash memory card or USB external hard drive. This includes devices like your VCR or video camera. Inside the packaging you will find the RCA cables needed to plug in to your television and another set to get content in to the box as well as a VGA cable for LCD and Plasma displays. You will also find an RCA to scart adapter, remote control with batteries, IR blaster, UK and European power adapters and the stand. 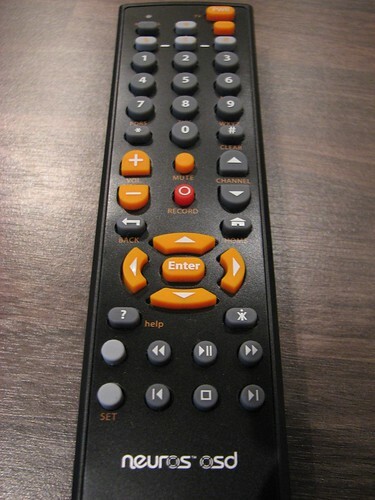 Connecting to your TV is simple. 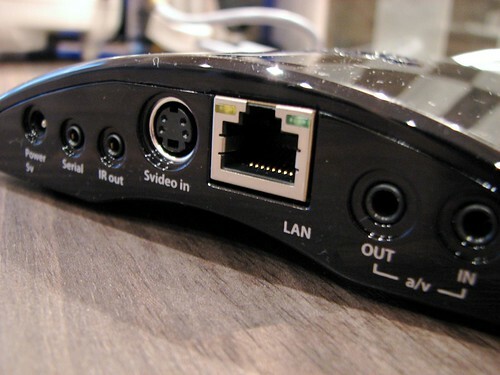 Using the supplied RCA cables or scart connection you can be up and running in minutes. The Neuros OSD is designed to be plug and play and operates in a similar fashion to a media centre using on-screen menus that is controlled using the supplied remote. Operating it for recording is easy enough for the non-technical crowd. It is merely a case of using logic to plug once device in at one end (the video you want to transfer) and the other end the digital device you want it to be stored on (a flash card or USB hard drive). 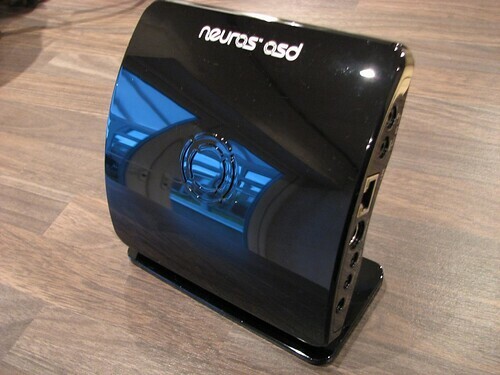 With an Ethernet connection at the back you can connect the Neuros OSD to your router for Internet access. With this connection, you can download firmware updates to unlock new functionality and the usual round of bug fixes along the way. Be warned that this can be quite a slow process and it’s one of the first things you end up doing after you’re connected (prompted by the large notice included in the box). Other than firmware updates, there’s also a YouTube application. What’s more appropriate than streaming content via the worlds most popular video distribution network. Using the YouTube application will allow you to search for your favourite videos as well as browse for content that catches your eye. With an audio out connection, there’s the potential to turn the Neuros OSD in to a dedicated jukebox player. Simply plug in your storage medium of choice (with the Neuros there are plenty of choices) and browse on over to the music section to load up the media player. The Neuros OSD is incredibly small and only just about fits in all the ports at the back and the memory card readers at the front. The curved glossy black design is designed to lie flat in your home entertainment cabinet or you can place it on the included stand for those who want it out on show. 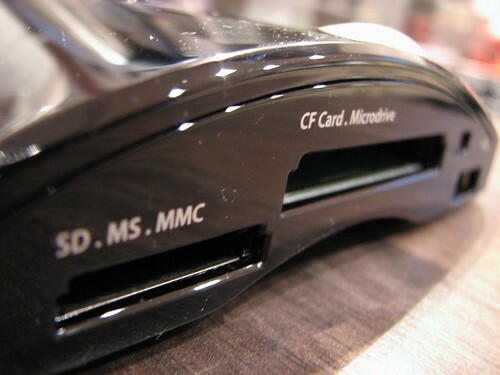 The rubber feet proved to hold the unit firmly enough that you can easily plug in a USB device or memory card and remove them without having to hold it down. If you’ve used the Apple TV or the Front Row interface on a Mac before then you’ll be instantly familiar with the look and feel of how the Neuros OSD works. The black theme with the centred buttons allows for simple and quick access to your media separated in to categories labelled Photos, Music and Video. The recording menu services up a wide range of profiles so you can record your video in to the appropriate format for your particular device. This includes options for the iPod and PSP, Smartphones or you can customise the settings yourself. At £139, this multi-functional recorder offers the perfect solution for those with a large archive of video tapes that are in need of a non-labour-intense backup solution. 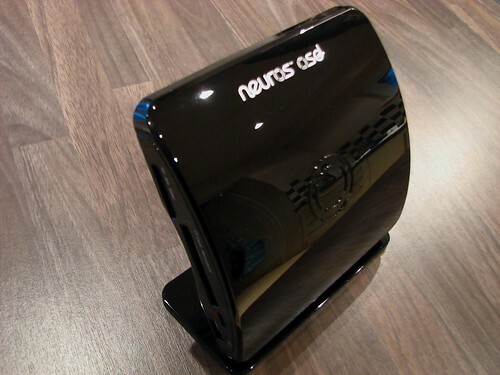 Unlike other solutions available on the market today (which typically plug in to your PC) there are many other uses of the Neuros OSD with its YouTube streaming application and the ability to read and playback content straight on to your television set. 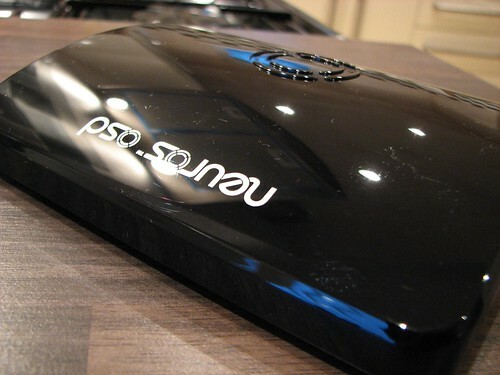 With open source software sitting at the heart of the Neuros OSD, you can expect the Linux community to come up with all sorts of new and wonderful ways to make this device an even more compelling device for both those sitting in the past with analogue equipment and those who look forward to the future of internet streaming and digital distribution. Most importantly of all though….the Neuros OSD does what it says on the box and does it with minimal fuss.